2,658 sq ft. with 3 bedrooms and 2 full bathrooms. 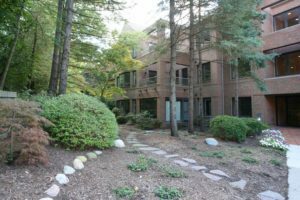 This ranch style condo has a private patio and 2 underground parking spaces. The eat-in kitchen boasts newer bamboo flooring, granite counters, island with breakfast bar, stainless steel appliances and a full sized wine fridge. The very large, open concept living and dining spaces are an entertainers dream! With a double sided gas fireplace and lots of windows to let in natural light. Gigantic master suite with a large bay window, has two walk-in closets, double sinks and separate tub and large steam shower in the en suite bathroom. The other two generously sized bedrooms share the other full bathroom. Schedule your private showing for 3000 Glazier Way #110, today! Contact The Bouma Group, Realtors at 734-761-3060 or info@bouma.com. View photos and amenities for Oak Ridge Condominiums.